With age, vocal cords become less flexible and most singers find that it becomes harder to hit the high notes as the years go by. This can become a challenge, especially for older choir members. It’s important to take care of your voice as it is susceptible to damage and overuse at any age and especially as you get older. However, it is possible, with vocal exercises and soothing remedies, to keep your voice sounding as good as ever. Overuse and trauma can induce damage to the vocal cords but for most people, aging will simply cause a general weakening of the voice. To strengthen your voice, you must give it a workout to keep it in top form. Once your cords are relaxed, practicing daily voice exercises should be sufficient to notice an improvement in voice quality. Start with humming and lip trills and move on to melodic exercises, but only for a few minutes every day so as not to tire your voice. Just as learning music can keep your brain alert as you age, so exercises for your vocal chords will help keep your voice supple. There are many simple tips to look after your voice such as improving your posture and keeping well hydrated. Holistic methods can also help to keep your vocal chords and throat healthy. For instance, sipping warm water or ginger tea will relax and moisturize your vocal cords. If you need to clear your airways before singing, simply inhale the steam from a bowl of hot water with a few drops of eucalyptus oil added. If you’re experiencing hoarseness, it’s important to keep active and eat a good diet as hoarseness can be associated with acid reflux. However, don’t drink lots of milk to combat heartburn as this will thicken the mucus in your airways. Instead, try a spoonful of active Manuka honey which has antibacterial qualities which will also soothe your throat. It has been found that trained singers retain their vocal flexibility longer than those who don’t sing but even if you think your voice isn’t as good as it used to be, don’t let a small tremor or a little hoarseness prevent you from singing. Just singing in the humidity of the shower is a great way to practice and relax your vocal cords. And as well as being a great way to keep active and make friends, singing in a choir calms the heart and boosts endorphin levels. 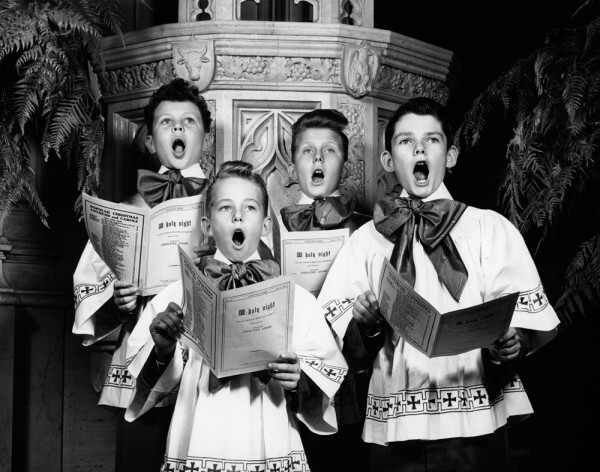 Singing stimulates the brain, lifts the spirits and, if you’re in a choir or vocal group, offers a great opportunity to socialize. Continuing to sing and care for your vocal cords and throat will help to keep you happy and retain your voice quality as you age.